I attended my first Code Freeze yesterday at the UofM. This years Code Freeze focused on Software Testing. Not always on the top of Software Engineer’s list for a conference topic, but very important nonetheless. No matter what piece of software you are writing testing will be involved at some point. The breakout sessions were held as Dojos. Until yesterday I had not attend a session like this. A Dojo is a presentation that involves a pair working on a testing challenge. I thought this was a great way to present. The first pair had discussed what they were going to do beforehand, but the next few hadn’t met each other before. This was a great learning tool/presentation since many of the questions that came up were questions I was asking in my head as they were working! More resources about Dojos: Coding Dojo from wpi.edu What is coding Dojo from codingdojo.org. My cr-48 arrived from Google, and I have been using it for a couple weeks. It is interesting to read some about the Chrome OS project. Take a look at the Software Architecture below. Apparently the customized firmware between the hardware and the Linux kernel is what will give Chrome OS some advantages. This will be interesting to follow the development and how it all unfolds. I like the idea of throwing away much of the legacy support and starting from the ground up. I will be checking out the GIT repo and following along with development. I am guessing this will get better, or is the cr-48 just really underpowered? Issues activating Verizon Wireless, time spent on hold! A few quick photos in my dark living room with an iPhone 4. Poor photo quality, but more to follow soon. Got home from work tonight and found a GoogleTV at my doorstep. Thanks to Google for sending out a Logitech Revue for me to start working on some development with. Initial thoughts on Google TV are positive. I have only had a few hours to check it out, but it has a few things I am excited about. There were some people discrediting Google’s approach to taking over input 1 on your TV i.e. – the input connected to your cable box, or antenna. I really have to disagree with this, I think this is the number one reason it beats an Apple TV. Currently with my Apple TV if I want to check a score in a NFL game I have to grab the remote switch the TV to HDMI 1, or is it HDMI 2?? I never remember, and the TV takes forever, like 1 – 2 seconds to switch. With the GoogleTV I simply press the search button on the keyboard and can ‘Google’ the score or have the device find the channel and switch it for me. So far GoogleTV has a slight lead, but its Netflix interface may give AppleTV the lead since its interface is archaic. The real important thing will be who can deliver a great SDK to developers to really take advantage of all the opportunities here. Currently GoogleTV is only web apps, and AppleTV has nothing that I am aware of yet. I attended the WordCampMSP that was held at Best Buy headquarters November 13, 2010. It was a very well run conference. Every session I attended seemed to be presented by very passionate people. I think that is what made it such a great conference. Everyone involved truly thought Wordpress was a great platform and were excited to share this with others! Find out how WordPress can fit your client like a glove! Josh will be covering topics such as custom post types, custom taxonomies, and custom meta boxes. Mert will go over SEO Design tips and blog link building strategies. Topics of this session will include Long Tail Key Words and Universal Search SEO for Blogs and help your site jump to the front of the line! This session will be covering the definition of custom fields, explaining the difference between custom fields & custom post types, as well as the general uses of custom fields. I’ll also show an example of how to create a randomized category widget that uses custom fields to display the authors twitter handle with latest two tweets and setting up custom fields as an embedded form on the standard post or page type. WordPress is constantly evolving, adding new features and functionality as well as deprecating old and out-dated practices. The question is, can your theme keep up? In this session, Ptah is going to fill you in on the secrets on how to use a theme framework to rapidly development websites and keep them future-proof. We’re going to cover features like li8n-support, template hierarchy, functionality abstraction, theme options, and so much more. Building a plugin for WordPress is easier than you think. In this session we’ll cover 4 main areas; Tools, Hooks, Code and Resources. Just having a website is no longer good enough for a business. You need to be able to sell physical and digital goods; handle membership or subscriptions if you want to deliver your value in that way; ensure your website is also easily accessible from a smartphone or iPad; and make certain you deliver your video, audio, screencasts and other media in a way that’s viewable across all of these different device types. Daunting? Nah….not with Wordpress. Come to this session to see how you can take your vision for your organization and deliver it in a Wordpress-driven site right now. 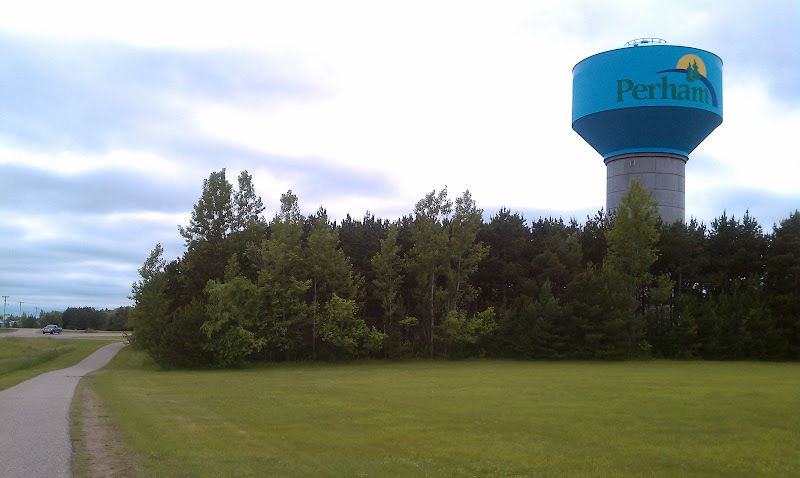 Just finished a run around Arvig Park in Perham, MN. 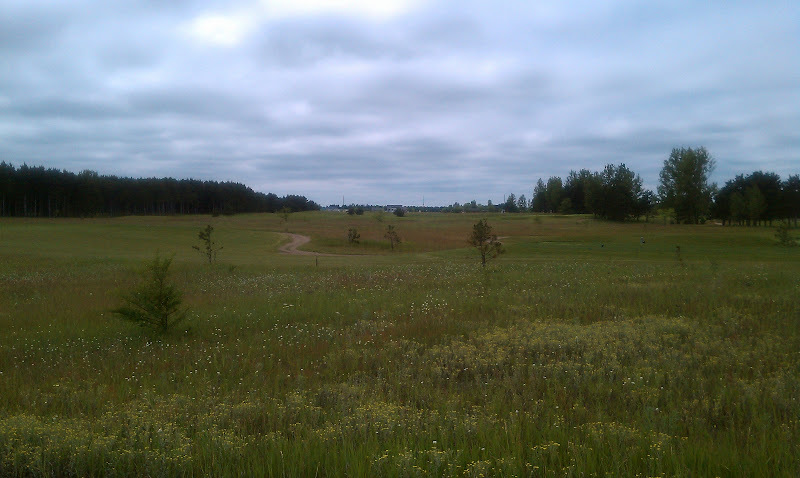 I am in Perham for a wedding this weekend so I thought I would check out this park. Nice to get out, great weather! Another great morning with hot coffee and some good food. Some big news was to be announced at the keynote on Day Two, so it seemed as if everyone was there a little earlier and eager to get seated. 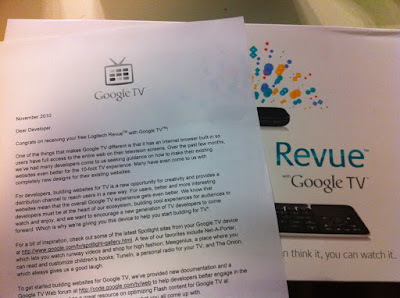 The big announcement turned out to be Google TV. More to come on this later. Well the day started off great. I was up at 6am and walked the block to the Moscone center. My hotel location was great. I was greeted by Starbucks coffee, fresh fruit, and some great bagels! We all sat around and awaited the keynote speech that was scheduled for 9am. There were some great announcements at the keynote. HTML5 was a big topic, and I am happy to see it get so much attention. The open web will be great for the future as a developer. After the keynote the conference then broke out into sessions. There were also developers available to discuss things with available in the sandbox all day long. I was able to attend many sessions and talk with even more developers! Very helpful. Well I arrived just fine this morning about 11am Pacific Time. The flight went well and I was able to get my bags just fine. I had called my hotel the night before and asked the best way to get there from SFO. They just quickly told me to use the BART and get off at the Powell Street stop. I had no idea what they were talking about, and didn’t realize San Francisco had such a great train/subway system. It turns out BART stands for “Bay Area Rapid Transit” and it worked great! I bought a $20 ticket which was able to get me within one block of my hotel, and will get me back to the airport late Thursday night. Here are some pics of my room. My room turned out to work great. It was literally a block away from the Moscone Center, where the GoogleIO convention was. It was just a very small room, but it was all I needed since I spent so little time there. Thought I would setup this blog so I can document and share my experience at GoogleIO 2010. I hope to attend a lot of sessions and bring home a ton of knowledge!